This guy is a professional dog walker. 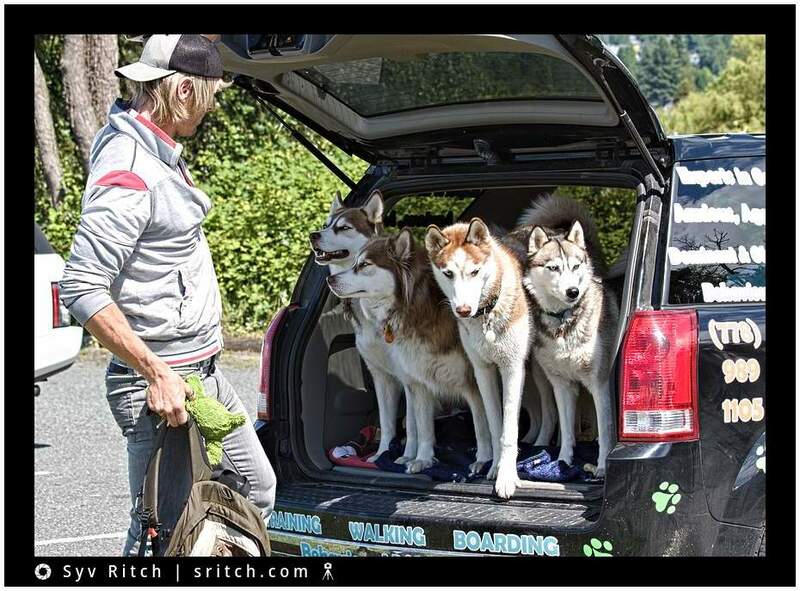 Are these huskies his dogs? I don’t know, he was too busy and I didn’t want all these huskies to come and ‘swarm’ my own dog to sniff him. Are these huskies living in a house/indoor? People would need a pretty big yard to keep a pack of huskies. What about the shedding, the drooling…? I wonder why so many football/sports teams (especially in North America) are called Huskies or use Huskies as a mascot?